My tiger owl was a lot of fun because it was interesting to find the animals i would use, to blend the textures together to create a more realistic effect, and to see the overall image that was a very cool looking tiger crossed with a snowy owl. I chose these two animals because they are both gorgeous animals and they are very similar in color. 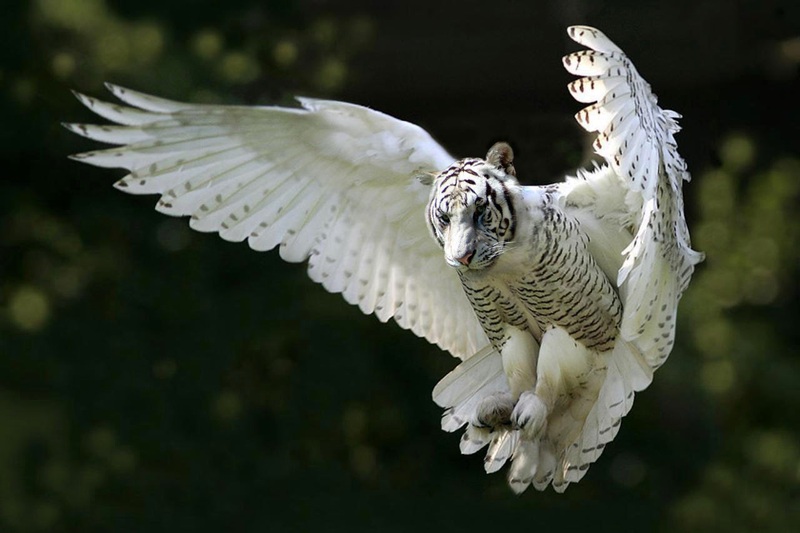 They also go together perfectly because of the stripes the owl naturally has which match the tiger's stripes.